Bring your buyers! 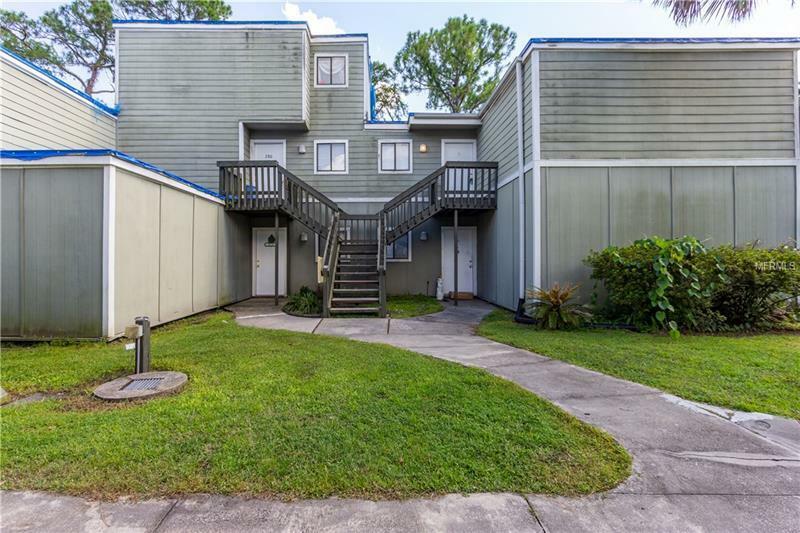 Great opportunity to own this 1 bedroom 1 bath condo for under 100k in Winter Park Woods! This well cared for unit features wood cabinets, breakfast bar, upgraded bathroom fixtures, upgraded lighting, ceiling fans, new balcony, completely new AC system, as well as an upgraded electrical breaker box, outlets, and wiring. Recent improvements also include newer sliding glass door. The washer and dryer are included. The HOA fees include your water, sewer, and trash! Community features free covered parking, a swimming pool, tennis courts, playground, and clubhouse. One block from Full Sail University and minutes from shopping, dining, Winter Park Village, Downtown Orlando, UCF and Orlando International Airport. *Multiple offer situation. Please submit highest and best offer by Tuesday, August 14th at 5pm.